Christmas games always stand out during the regular season, with the league usually pitting the best against each other, but this season is different. Because of the NBA lockout, Christmas day will be the NBA’s opening day, with five games to get you into a basketball mood for the rest of the year. The Celtics come to New York to play the Knicks, the Heat and the LeBron James revenge squad come to Dallas in a repeat of the NBA finals, the Bulls and the Lakers clash in LA, Orlando with a disgruntled Dwight Howard visit Oklahoma City against the Western favorites Thunder while we get a first glimpse of the Clippers new show in an official game against Golden State. The holiday game has quite a bit of history, involving two of the players playing on the same team tonight. 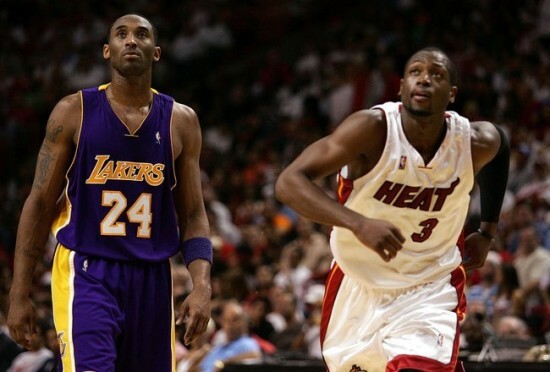 Both LeBron James and Dwyane Wade have had memorable Christmas day games against the Los Angeles Lakers in the past. 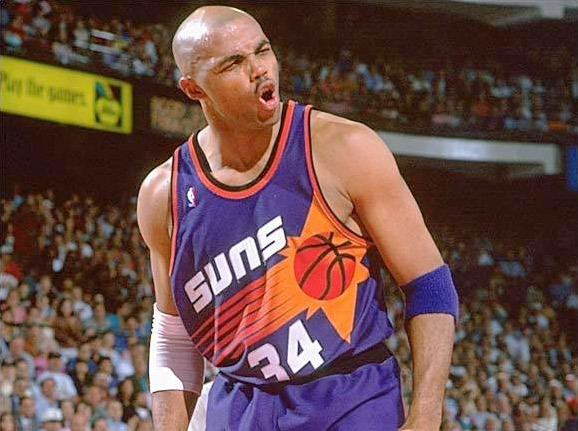 Barkley, Pippen and Michael Jordan have also had games to remember on December 25 in the 1990’s. Does this mean Dallas are in for a pounding? Or does it mean that Derrick Rose, leading the Bulls against the Lakers, is going to start the 2011-2012 with a bang? The Miami Heat came into Los Angeles and delivered a fantastic performance, mostly on the defensive end. The Lakers were struggling at the time last season, but the way LeBron James dominated defensively, with 4 steals, limiting the Lakers to only 80 points while Miami ran away with a 96-80 made us all see how good the Heat can get. James finished with a triple doube of 27 points, 11 rebounds and 10 assists. Chris Bosh helped with 24 points. For the Lakers, Kobe Bryant finished with 17 points on one of those horrible 6-16 shooting nights. The Miami Heat were the defending NBA champions, having a very rough time, going with a below .500 record into their Christmas day game against the Los Angeles Lakers. The Lakers were Kobe Bryant and nothing much else, with Kwame Brown, Smush Parker, Brian Cook and Luke Walton starting alongside Kobe. The pregame hype was all about Kobe Bryant vs Wade, with Wade coming as the Finals MVP. Dwyane Wade didn’t have Shaquille O’Neal at his side, but he didn’t need him. 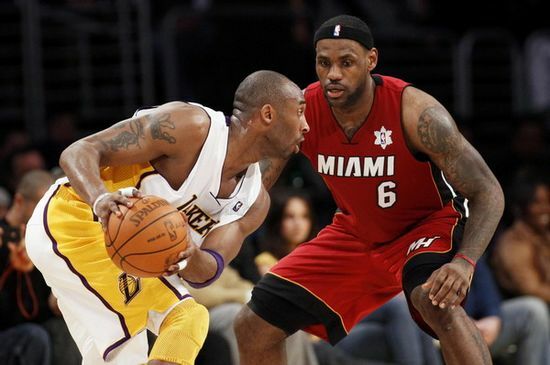 Flash exploded with 40 points and 11 assists while Kobe Bryant faltered with 16, while shooting 4-17 from the field. 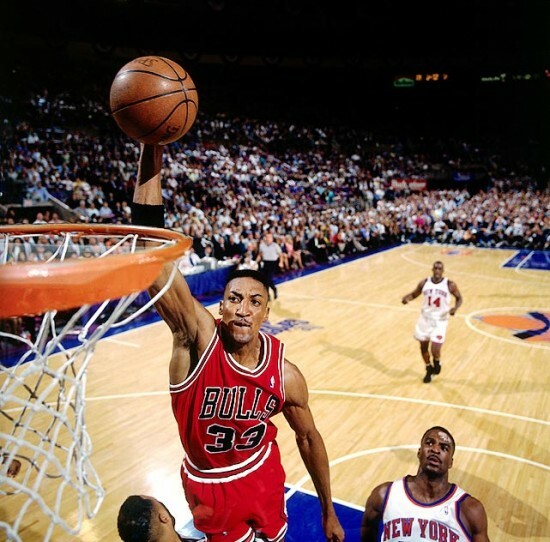 The Bulls – Knicks rivalry was at its peak during the 1990’s, as the New York Knicks took advantage of Michael Jordan not being around to finally oust Chicago and claim supremacy in the East, beating the Bulls in the playoffs seven months earlier. The Bulls weren’t having the best of starts to the season in 1994-1995, which would eventually become the year Jordan returned to basketball, and a year later back to ruling the NBA. But Christmas was Pippen’s night. With a starting five that included Dicky Simpkins, Will Perdue, B.J. Armstrong and Ron Harper, Pippen led Chicago to a dramatic 107-104 overtime win over the Knicks, who reached the NBA finals the year before. Patrick Ewing scored 30 points, but that wasn’t enough. Pippen went for 36 points, 16 rebounds, 5 steals and two blocks, helped by Toni Kukoc who finished with 25 points. A few months after losing to the Chicago Bulls in the NBA Finals despite home advantage, facing the team that would win the 1994 NBA title, Charles Barkley, with a hurting back, out-dueled Hakeem Olajuwon, finishing with 38 points and 18 rebounds, getting a huge helping hand from Kevin Johnson, explosive as ever, with 36 points and nine assists. Olajuwon finished the game with 27 points as the Suns beat the Rockets 111-91. 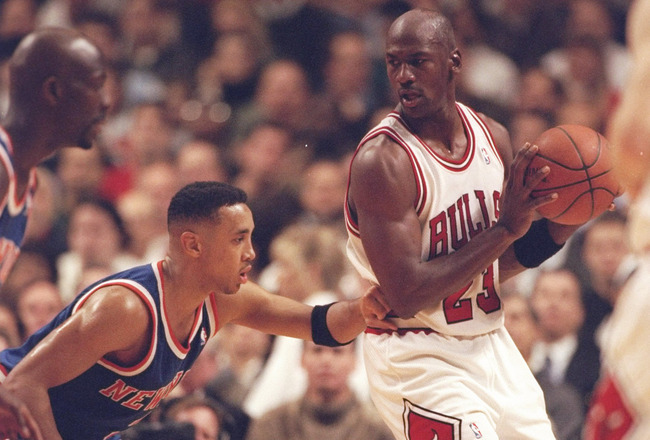 Knicks – Bulls games during the first Jordan era were intense like none are these days. The game was more physical back then, with players allowed to get more physical. Michael Jordan, as usual, stood out with 42 points, 8 rebounds, 5 assists in 3 steals, leading the Bulls to a 89-77 victory, scoring nearly half of the Bulls’ points. Jordan shot 34 times from the field that night, and went 16 times to the line.